Pretty headsets were hard to find, so Powder Puff Pilot had its own made! Pink Powder Puff Pilot headsets, available in PNR and ANR models, are built by a leading avionics manufacturer that specializes in FAA-qualified aviation headsets. * Canadian customers please note: Though we are a Canadian company, these headsets ship from the U.S. and may be subject to additional taxes and duty. Do you want a headset that stands out? 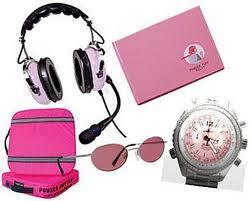 Check out Powder Puff Pilot’s pink headset, a good quality headset made in the colour pink. 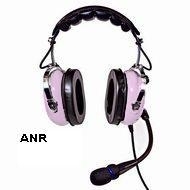 Pink Powder Puff Pilot headsets, available in PNR and ANR models, are built by a leading avionics manufacturer that specializes in FAA-qualified aviation headsets. PNR means passive noise reduction, and relies on the seal of the earcups to block noise. The ANR means active noise reduction, and in addition to the sealing out of noise, it also cancels some of it electronically. As you know, those little planes can be very loud and aircraft noise can be very harmful to the ears over an extended period of time. Each Powder Puff Pilot headset is hand-made by skilled engineers, and built with an electret microphone and advanced special noise attenuation technology to provide a comfortable audio environment. 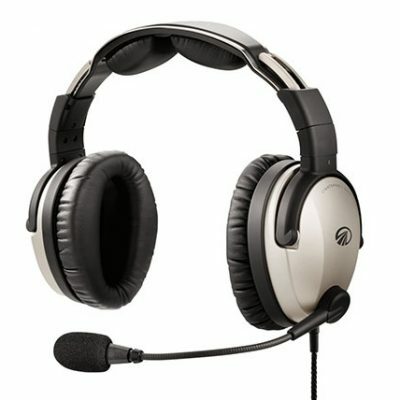 Both models feature a flexible boom assembly that allows you to adjust the mic to a position that’s just right for you. An MP3 jack on both models make them compatible with MP3 players, cell phones, and video games. Powder Puff Pilot is so confident of the quality of our headsets, they offer a 3-year warranty on all headset parts and service. 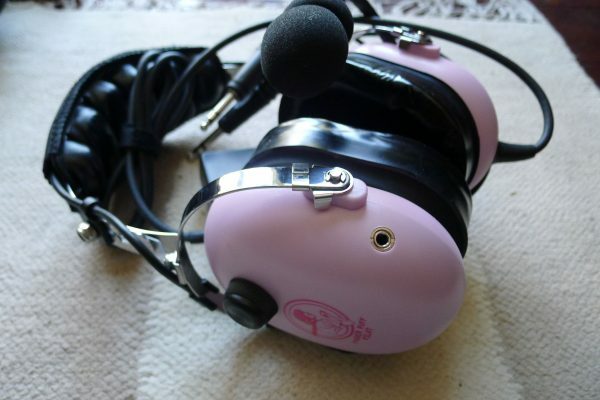 Another guarantee: the distinctive Powder Puff Pilot logo in pink on pink on the non-mic earcup is certain to keep flyboys’ hands off your headset! Active Noise Reduction (ANR) or Passive Noise Reduction (PNR)? The ANR headset can isolate, offset, and cancel environmental noise. Compared with conventional (PNR) headsets, the ANR model reduces background noise to provide a quieter, more comfortable flight. 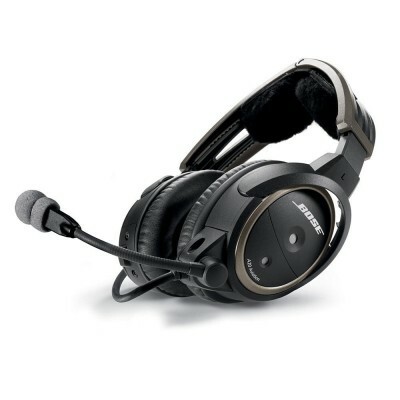 Its noise-canceling circuitry increases comfort and decreases pilot fatigue, improving communication and safety. This ANR model accommodates both stereo and mono intercom systems. The PNR model offers a more affordable option-especially suitable for student pilots and passengers-delivering a perfect combination of noise reduction, clear sound, and comfortable fit. PNR headsets obstruct annoying noise and amplify communication signals for crystal clear voice transmission. 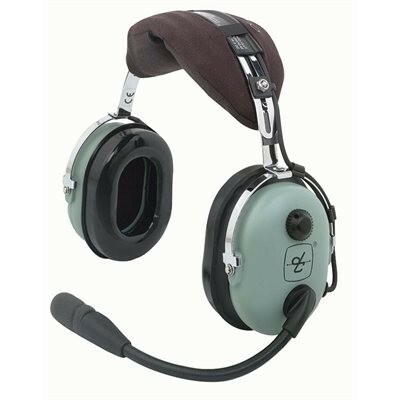 Powder Puff Pilot headsets are manufactured by a respected producer and distributor of FAA-qualified headsets. 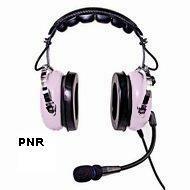 Powder Puff Pilot is proud of its headsets, and offers full service on its ANR and PNR models. Each Powder Puff Pilot headset is warranted against defects for 3 years from the date of purchase. Within the warranty period, Powder Puff Pilot will repair or exchange (at their option) your Powder Puff Pilot headset with no charge for parts or labor. The Powder Puff Pilot warranty does not cover shipping costs or a headset subjected to owner-tampering, misuse, or accidental damage. These headsets ship from the U.S. Canadian customers, please note there may be customs duties or taxes on your order. Please note orders from Ontario may be subject to HST. These headsets are temporarily out of stock because the supplier, Powder Puff Pilot is redesigning their concept products. They will be back in stock in several months. Thank you again for helping get our Power Puff Pilot headset. My daughter has gotten a lot of use. 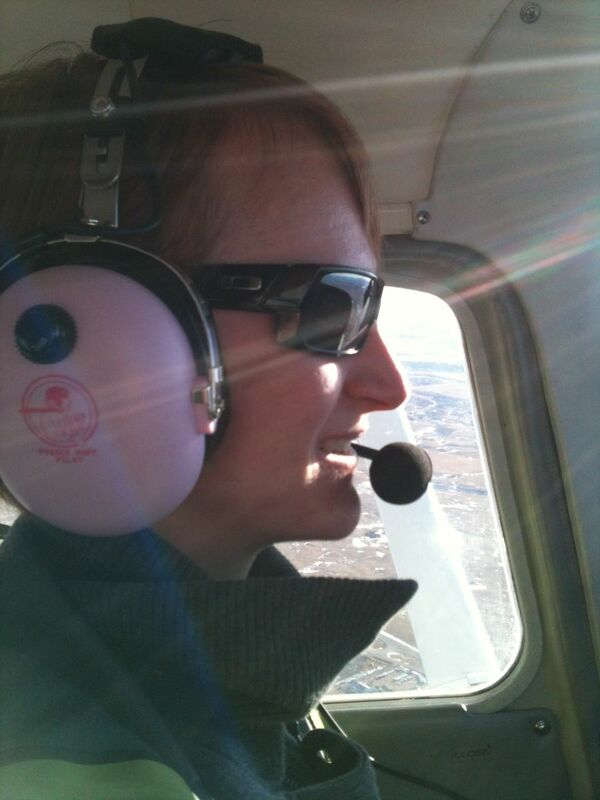 Most recently we flew to Idah0… They give a sense of ownership and everyone knows who the pink headset belongs to. My wife is going to love this – she’s been asking for a pink headset – I was very happy to find your product!